Comments: One of the very best and largest trees in in area of adaptability. It can excell over 100 feet in height and have a spread of 80 feet or more. Oval in form, has great strength and durability. Excellent large landscape or street tree. 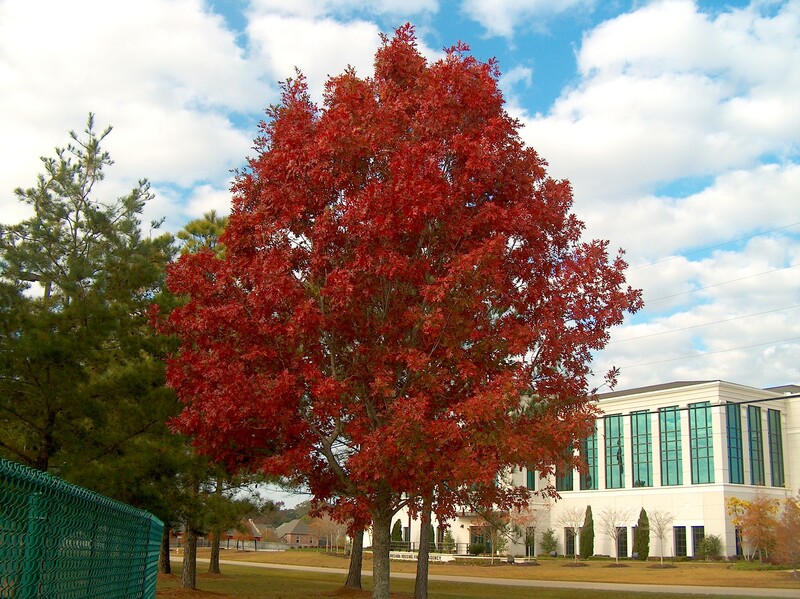 Bright red autumn color and is reliable for color in the deep South. Its acorns, every two years, are eaten by wildlife.